China’s rural areas, with 211 million recorded net users by the end of June 2018, have become a market from which e-commerce platforms compete to seize a larger share, Economic Daily reported on Dec. 4. 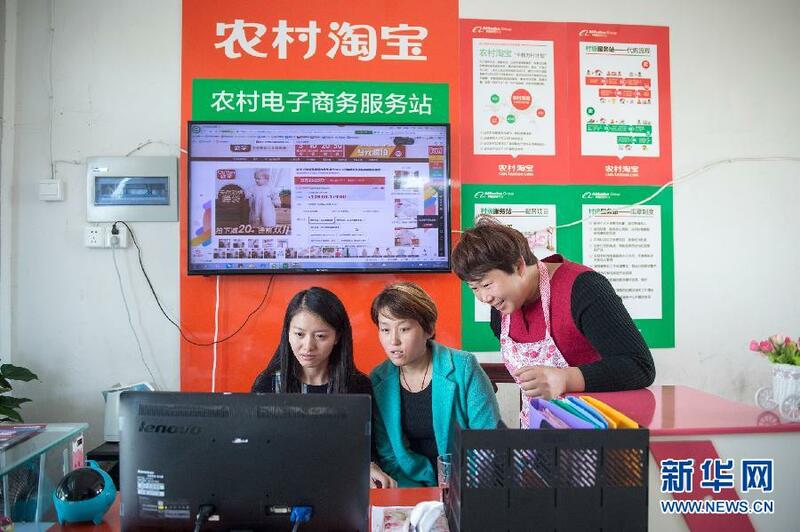 E-commerce platforms have already successfully infiltrated rural China. In the first half of this year, the sales volume in low-end markets increased by 30 percent, a much higher increase than in first- and second-tier cities, said an economics professor with Beijing Technology and Business University. A recent report indicated that Chinese e-commerce giant Alibaba now has 601 million active users, an increase of 25 million from last year, and most of these new customers come from less developed regions. In August, e-commerce giant JD.com saw that 28 percent of new customers from its low-end marketplace were group buying. “In the past three years, our users from third-tier cities and below have been growing. Users from five-tier regions or below account for 18 percent of our total subscribers and that percentage will keep rising,” said LinkSure Network, a Shanghai-based mobile internet company specializing in free internet access. Rising web capabilities, fee reductions and convenience brought by the Internet are three significant reasons that users from low-end markets have become a new force online. Wang Xiaoshu, rotating president of LinkSure Network, said young people from counties, towns, and villages are a strong force when it comes to online shopping because they have plenty of time and don’t have as much to spend as their peers in first-tier cities. In 2017, the amount spent per person on Pinduoduo, an e-commerce platform allowing users to participate in group buying deals, was 567 yuan, while the average person using JD and Alibaba spent 3,107 yuan and 8,732 yuan, respectively. E-commerce platforms are putting more efforts into studying the requirements of low-end markets. The low-end market is not all about price. Brand, quality and after-sales service are also important factors that these consumers take into consideration, said Cao Lei, director of the China E-Commerce Research Center. E-commerce platforms are looking for a balance between quality and price to meet the demands of the low-end market. For instance, JD plans to cooperate with 10,000 factories for direct supply, to develop competitive products and share the benefits with consumers in the most direct way. Pinduoduo is eager to shake off its label of low price and low quality. In the third quarter of this year, the company’s spending on research and development increased to 332 million yuan, an eight-fold increase compared with the same period last year.